Event organisers announce 5000+ visitors attended HVACR Expo Saudi, and co-located FM EXPO Saudi & Saudi Clean Expo last week in Jeddah. For the first time, the 2019 co-located events will take place in the Saudi capital at the Riyadh International Convention & Exhibition Centre from 14-16 January. 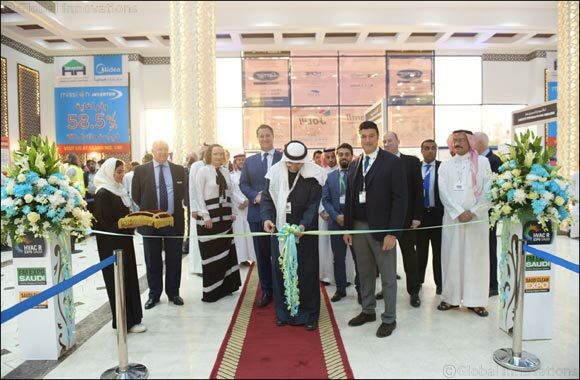 Saudi, January 24, 2018: More than 5000 visitors who attended last week’s HVACR Expo Saudi and co-located FM EXPO Saudi & Saudi Clean Expo marked an 18% increase in attendance when compared to the previous year’s edition, announce event organisers dmg events Middle East, Asia & Africa.